Students will take home several artworks. All supplies and daily snack included. For more information, please contact Beth Baker at artgurl81@yahoo.com or Lynette Villarreal at lvillarreal@shshattiesburg.com. Please see attached to register. Create your own pinata! Make and decorate your own sugar skull! Try new foods and handcraft a woven Guatemalan bracelet! All supplies and daily snack included. For more information, please contact Suky Blythe at sblythe@shshattiesburg.com. International music, Church music and more! Suzuki method, beginning music theory, introduction to instruments and more! 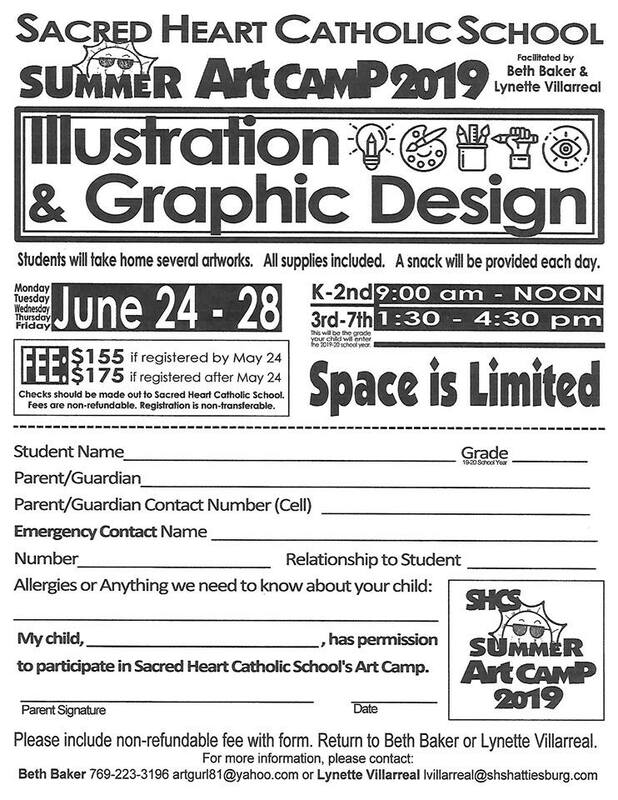 For more information, please contact Suky Blythe at sblythe@shshattiesburg.com and see attached form to register. All ages welcome - Including parents!